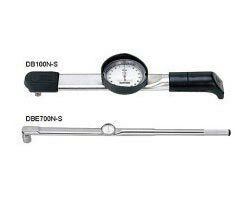 Another Torque Wrench we are offering is Tohnichi Torque Wrenches (DBDBEDBR Series). Our service standards are very high and we provide customer satisfaction. Being a Supplier, Exporter and Importer, we leave no stone unturned to ensure that our wrenches match the various parameters and standards set by the industry. We have regularly check quality and performance of the said product. It is available in different customized specifications as per the request of the customer at economical rates.